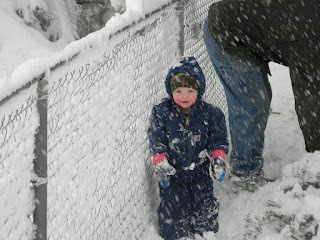 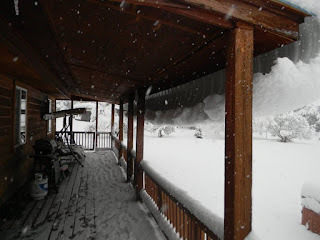 In our house we love snow storms! 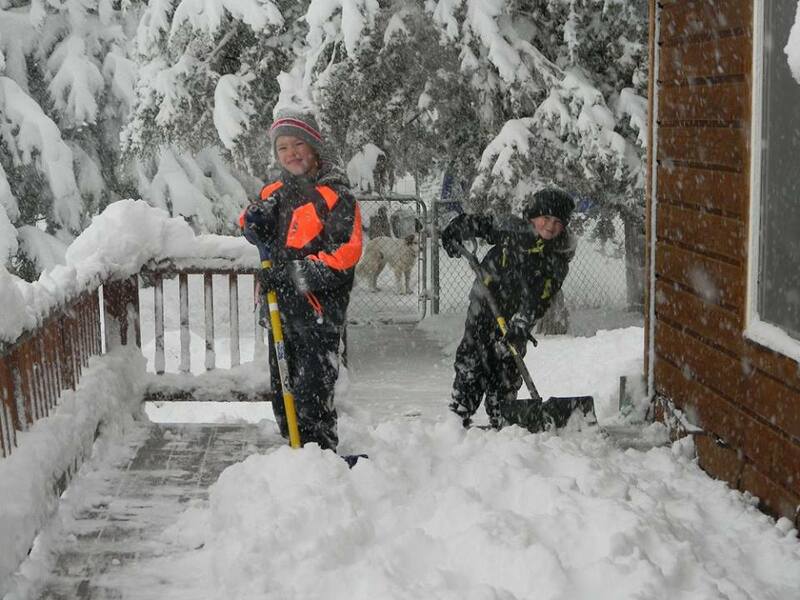 Cooper and Trip don't even mind getting out and shoveling. 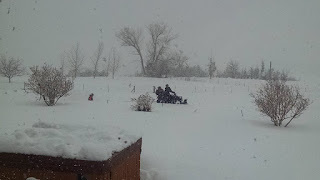 Of course they all love to be pulled by the four wheeler on their sleds. Rowdy even had a blast going out as long as he stayed where the snow wasn't too deep. 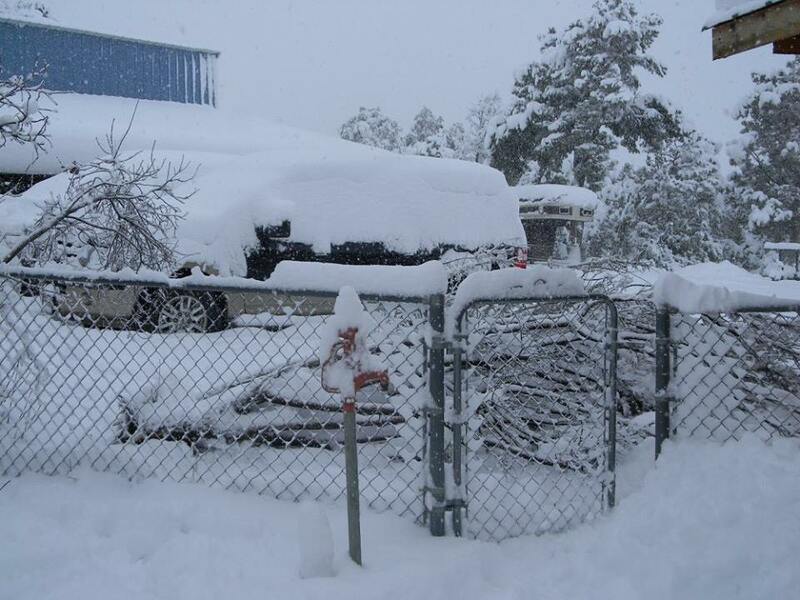 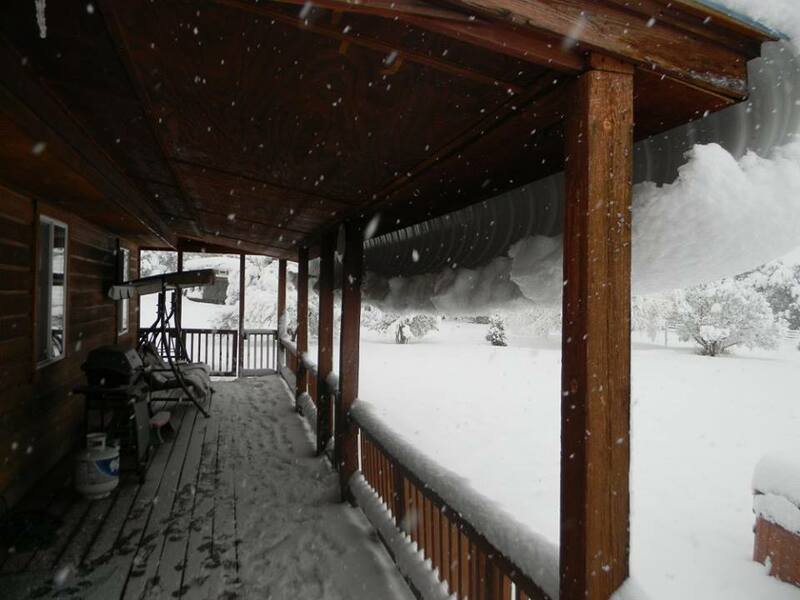 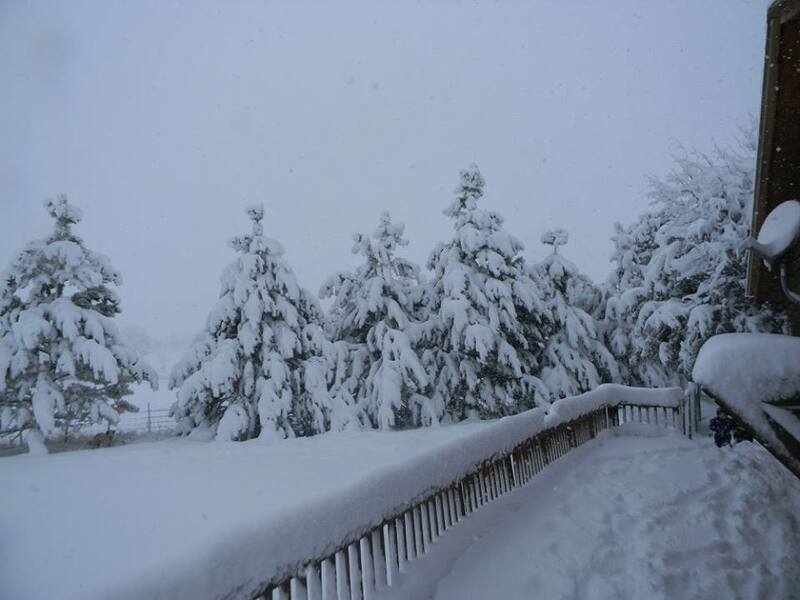 This snow storm produced a really heavy snow. The snow was too heavy for one of my favorite lilac trees. It was completely uprooted. 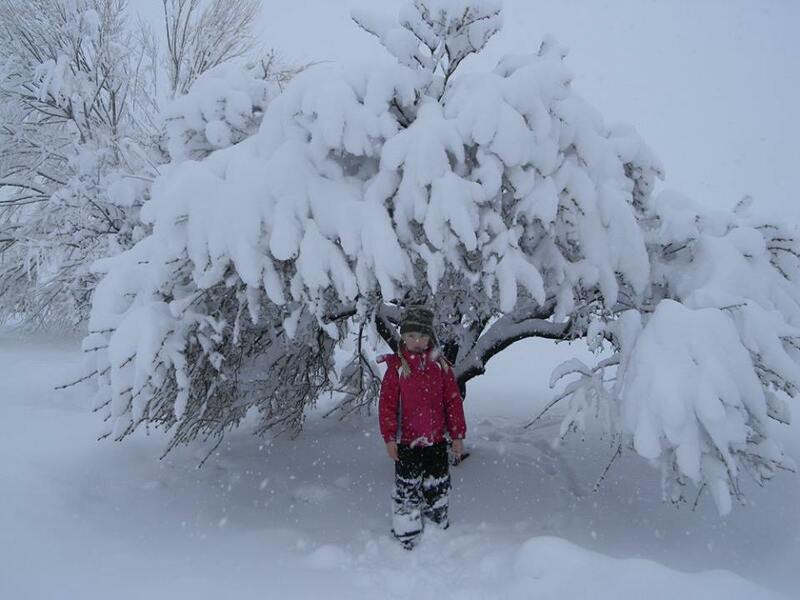 Peyton loved how the heavy wet snow turned our willow into a snow cave.